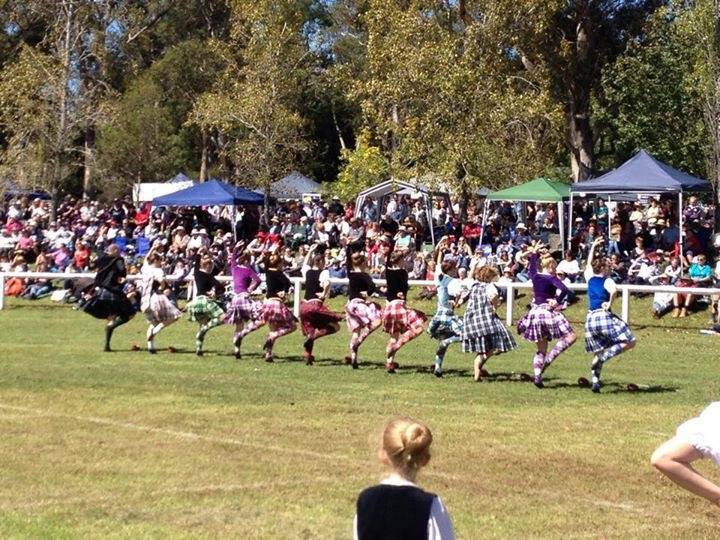 Scottish Highland Dancing - BRIGADOON | Bundanoon Highland Gathering Inc. The Joy Reiher School of Scottish Dancing has been teaching students Highland Dancing for over 40 years in Canberra. Joy was born in Canberra and, as well as being a qualified teacher, is an Adjudicator with the Australian Board of Highland Dancing and the Scottish Official Board of Highland Dancing. Over the years, the school has produced many dancers who have competed successfully at local, National and International level. Two senior dancers have taken part in the dancing displays at the Edinburgh Military Tattoo, the Basel Tattoo in Switzerland, and the Halifax Tattoo in Canada. Students cover examination tuition and competition training, but also they take part in social demonstrations providing enjoyment for others while improving their own self-confidence – such as Ceilidhs, St Andrew’s Nights and Burns Dinners, Bundanoon is Brigadoon Highland Gathering, Canberra Pipes and Drums Highland Gathering, Lifeline Gala Ball, and Special Birthday celebrations. The only three “real” Highland dances – the Highland Fling, the sword dance and the Seann Triubhais – were most definitely NOT lassies’ dances in their original form. Of the three, the Fling is the oldest, considered to be based on the rutting movement of the stag in season, a kind of “fertility dance”. Malcolm Canmore, King of Scots, is credited with the sword dance. The story goes that he slew an opponent in battle. He had only recently been converted to Christianity and with this in mind and overjoyed at his enemy on the ground he danced in triumph over them. The Seann Triubhais, pronounced “Shan Trews”, is the youngest of the Highland dances. It was devised as a dance of derision during the period after Culloden, when the wearing of the kilt was proscribed, often under penalty of death.